Time to get Chase on duty. Think you've got a kid who's willing? Your boy probably watches Paw Patrol day in and day out, so he knows all about the heroic antics of the brave police pup. And now maybe he's ready to put his paws into the game, too. So, what we're saying here is he should definitely suit up as Chase this Halloween! When he's got his costume picked all picked out and he's ready to get into action, we're thinking he should probably have all the right accessories, too. 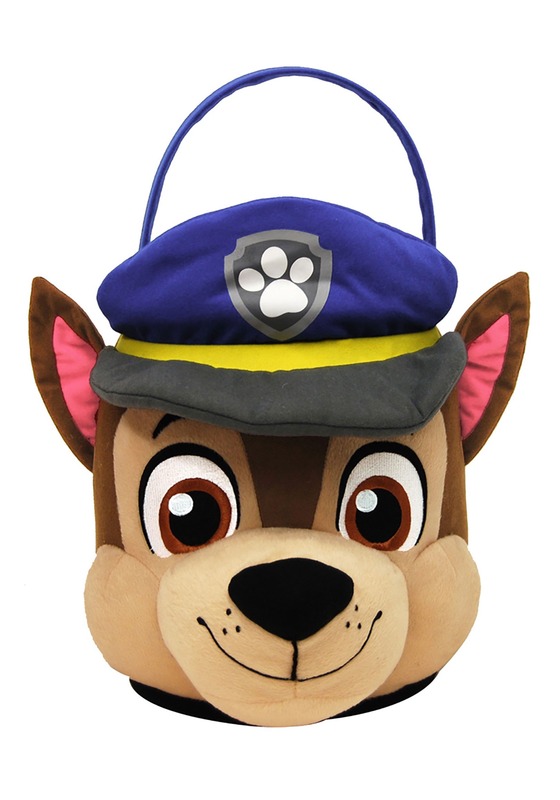 We'd suggest geting him this Chase Plush Trick or Treat Bucket. It's got Chase's face, and it's ready to hold a whole lotta trick-or-treat candy. It'll be just the thing to set him up for a lot of Halloween fun! This molded plastic candy bucket is covered in fabric, and it's got the facial features of the Chase featured on the front complete with a 3-D nose, attached ears, and a police hat on top. It's Nickelodeon officially licensed, and ready for fun. Be sure to check out our entire selection of Paw Patrol accessories to get everything else that's needed for the costume fun!